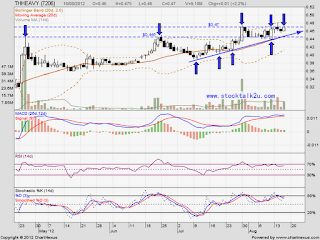 THHEAVY (7206) retest RM0.47 strong resistance again. Will it break through ascending triangle resistance? 2. Stochastic %K trigger BUY call, pending confirmation. 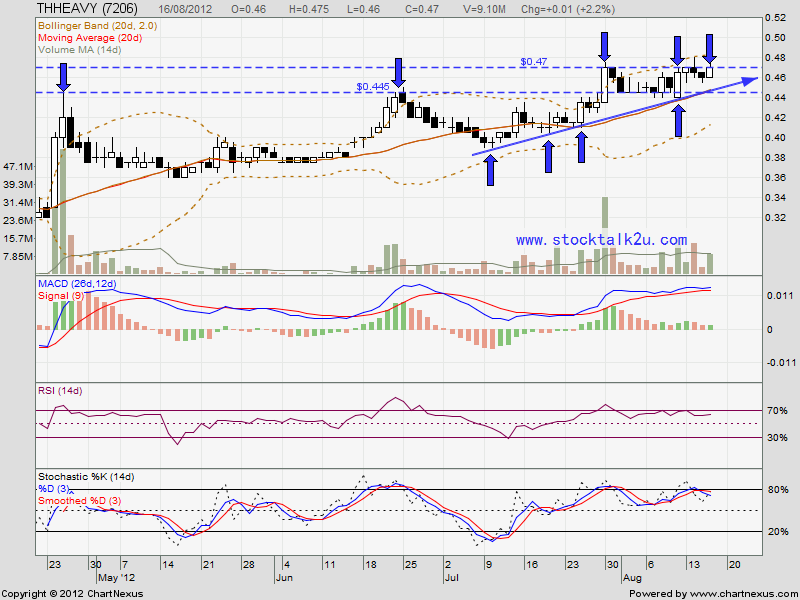 If retrace down, immediate support @ ascending triangle lower line or MA20 level.